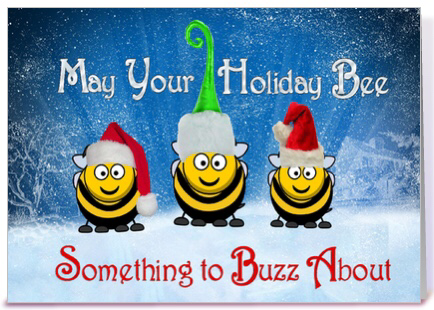 I just wanted to buzzz in to wish each and every one of you a Very Merry Christmas and Happy New Year! *Images found on Google: no copyright infringement is intended. Join in on the Paper Pumpkin fun. Subscribe HERE. Aren't these gift boxes cute? 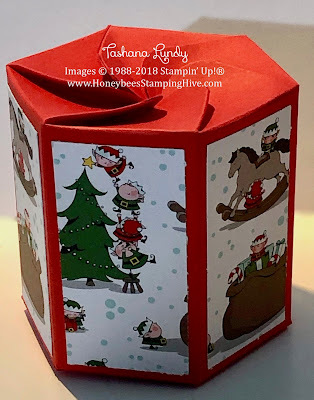 I found a tutorial over at The Paper Pixie and made some modifications to suite my needs. I made these for my co-workers. I put a pair fo warm and fuzzy socks inside. Score long side: 1.5", 3", 4.5", 6", 7.5", 9"
Make tick marks at: 0.75", 2.25", 3.75", 5.25", 6.75", 8.25"
Rotate clockwise and score at: 2-5/8" and 6.75"
DSP (x 6): 1.25" x 3-7/8"
Below is a picture of a gift box using the measurements found on the Paper Pixie's video. It is shorter, but the same in all other dimensions. Whisper White cardstock 2.5" x 3.25"
Tranquil Tide/Merry Merlot cardstock 2.75" x 3.5"
Joyous Noel SDSP 5.25" x 4"
Card Base 11" x 4.25"
This card came about because I wanted to use up the last bits I had of the November 2018 Paper Pumpkin Kit. I love the layout and the added color that the Suite Season Specialty Washi Tape adds to the card. These cards were quick and simple. The only stamping done was on the inside of the cards. 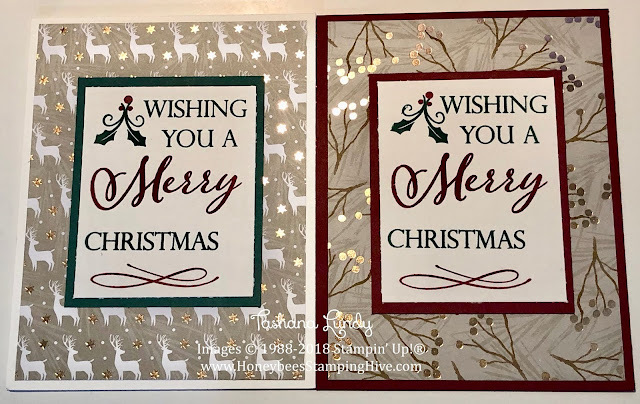 The Joyous Noel Glimmer Paper paired with the Merry Christmas Thinlits, really makes these cards pop. Welcome to another Stampers By The Dozen Blog Hop. This month we are making projects that are Non-Holiday but reflect the season/weather in the area in which we live. Well, I live in Florida and, despite popular beliefs, it does get cold here. LoL Our cold is not the same as the cold in other parts of the USA (thank goodness). Below is the card I made for the Hop. 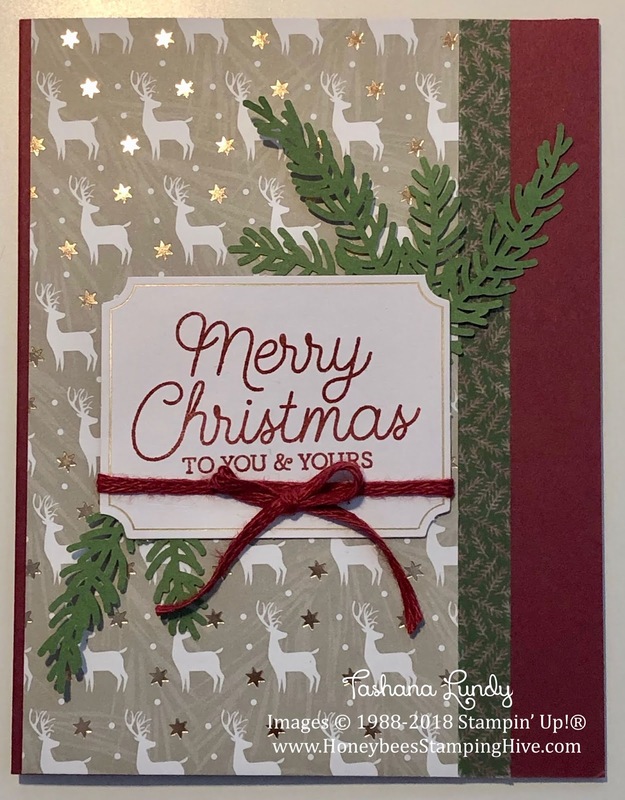 I used two stamps sets in creating this card. 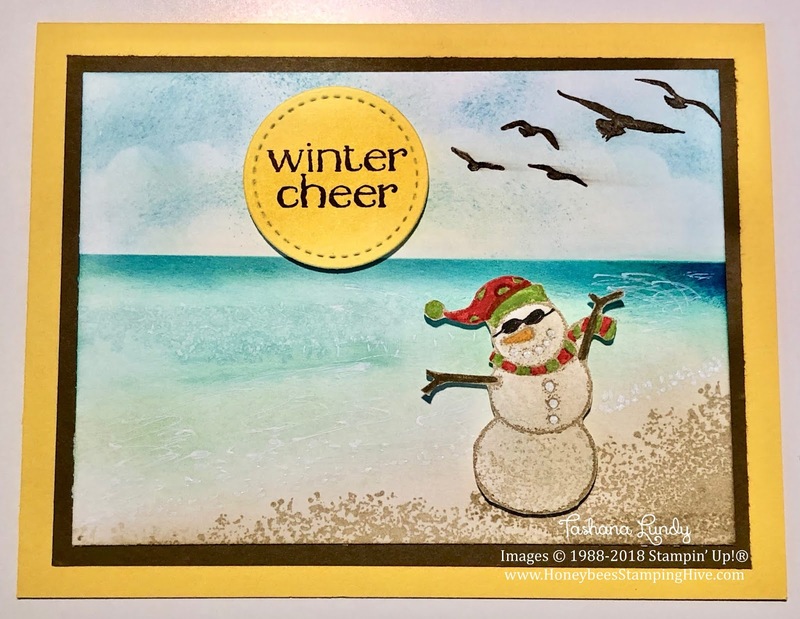 I started out with the Spirited Snowmen and added a few images from High Tide. I sponged the background using a few "beach" colors. I had to add the "sandman". People in Florida really do make them on the beach. I hope you have enjoyed your visit to the Hive today. Sooo...What did you think of my project for this Hop? Leave a comment and let me know. 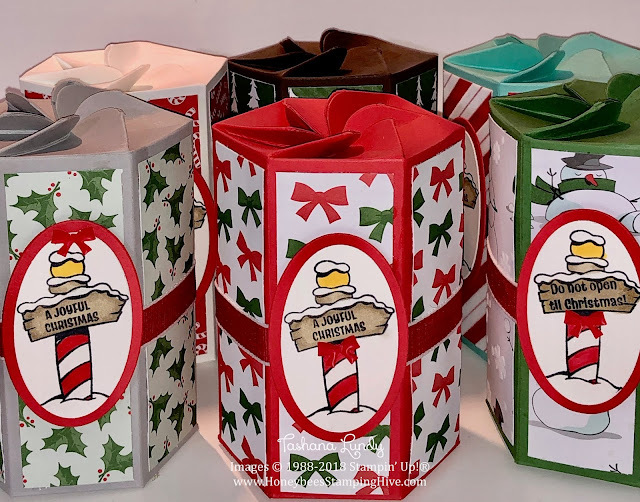 Hop on over to Carly's blog...she is up next in the Blog Hop. OK. I know this looks familiar. Well, I have made a couple of cards using this layout. I changed a few things. I stamped my tree in Merry Merlot and used a Sponge Dauber to dab on Early Espresso on a few snowflakes. 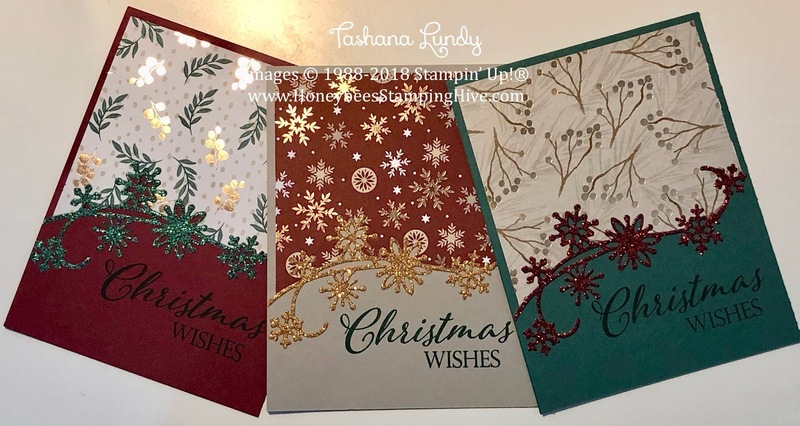 This stamp set used here, Snow is Glistening, is retired. 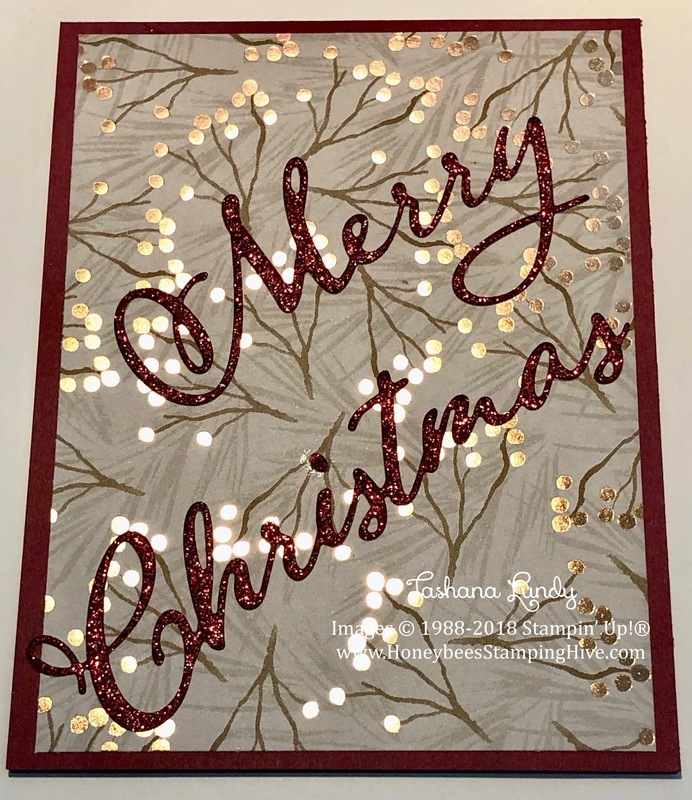 This set of cards is made using the retired Snowfall Thinlits. 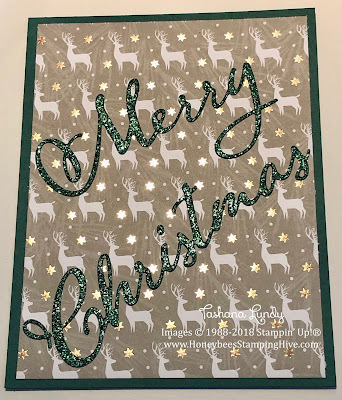 I seen a video on YouTube by Stamping Smiles and thought her cards looked fabulous. I just had to CASE them. 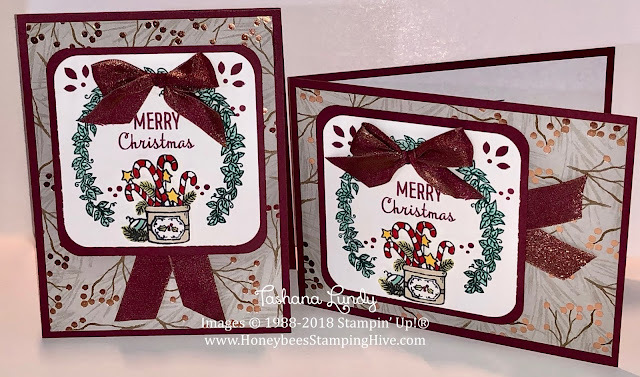 I used the Merry Christmas to All stamp set and the Joyous Noel SDSP and Glimmer Paper to complete this set. These may be my favorite cards this season. What do you think? 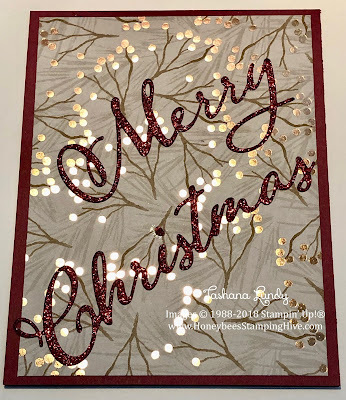 I am still making Christmas cards. 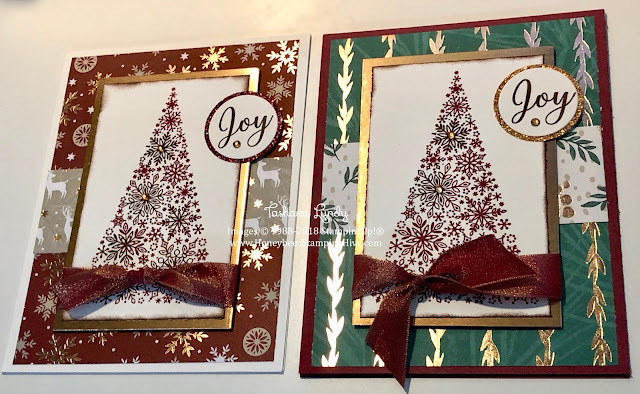 I decided to only use the Joyous Noel Specialty Designer Series Paper with a variety of focal images. 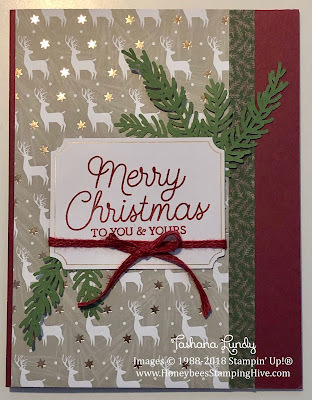 Here I used the Many Blessings stamp set paired with the Detailed Trio Punch. It's that time again. The 2018 Holiday catalog is on its way out to make room for some New and Exciting products in the 2019 Occasions Catalog. You can purchase select products up to 50% off. Click HERE to see the Discounted items. If you want to see all the Retiring Favorites, click Here. *All order types qualify for this promotion (e.g., customer, demonstrator, workshop, and online). *Discount applies to select items only. 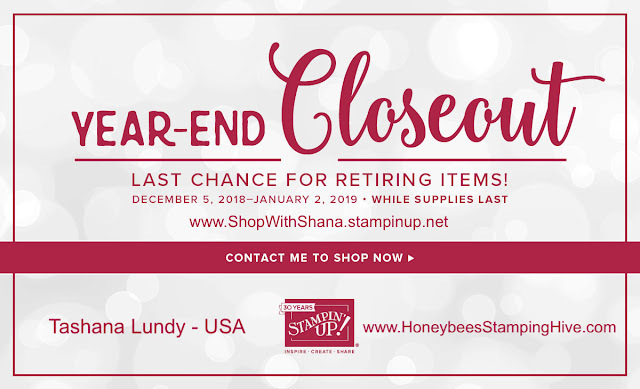 *Retiring items from the 2018 holiday catalog are available while supplies last. *Surplus items from 2018 annual catalog are available in limited quantities at the promotional price. 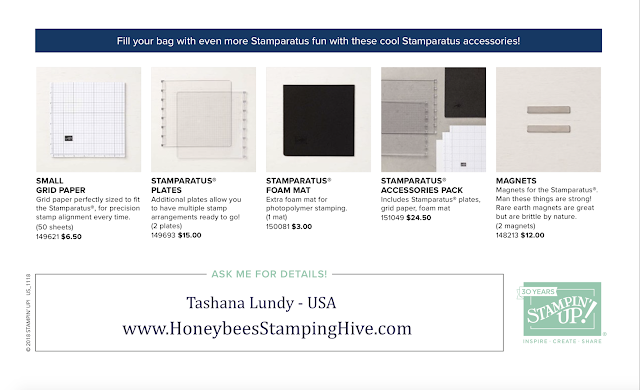 *Discounted items may be added to a Starter Kit—or purchased with Stampin’ Rewards—at the promotional price. *Items and discounts may vary by market (depending on inventory levels). *Host sets may be purchased using only Stampin’ Rewards from a qualifying party. IMPORTANT NOTE ON BUNDLES: In some cases, it may be a better value to purchase individual components of a bundle rather than purchasing a bundle as a single, discounted item. A tool as beloved and important as the Stamparatus deserves its own special treatment. And what better way to treat your most versatile stamping companion than by giving it its own special carrying and storage solution. 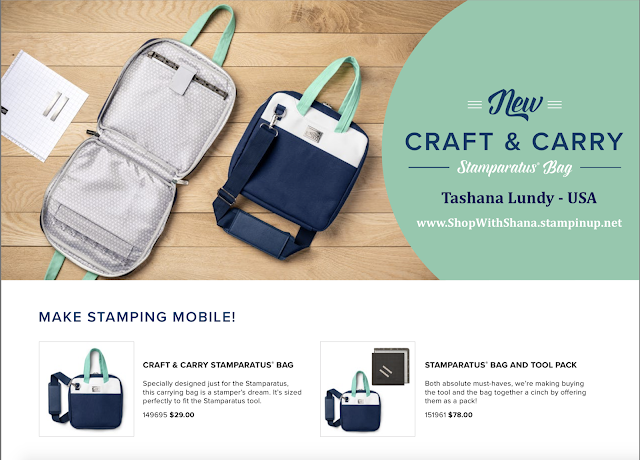 Introducing the Craft & Carry Stamparatus Bag! It’s finally here! The Craft & Carry Stamparatus Bag is the perfect holiday gift! With the new bag available to customers starting today, December 5, the timing is perfect for the holidays! 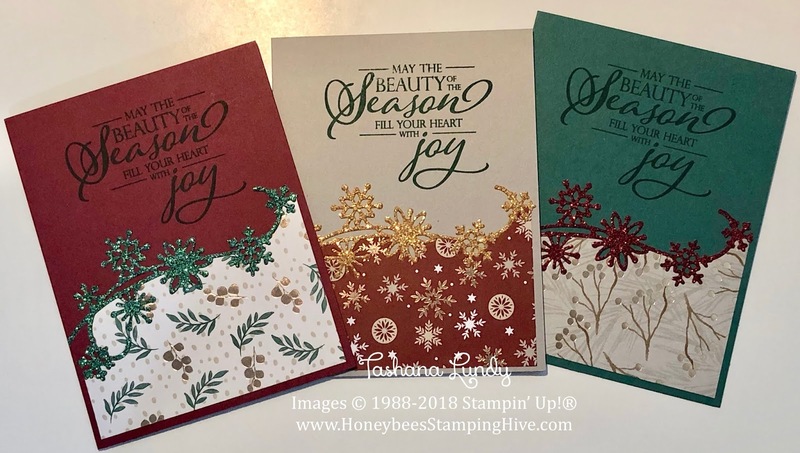 It is something you could buy for a fellow stamping friend, a family member or something you would like to have for yourself. Think of it as a little “treat yourself” gift for the holidays. Click on the photo to see the PDF. 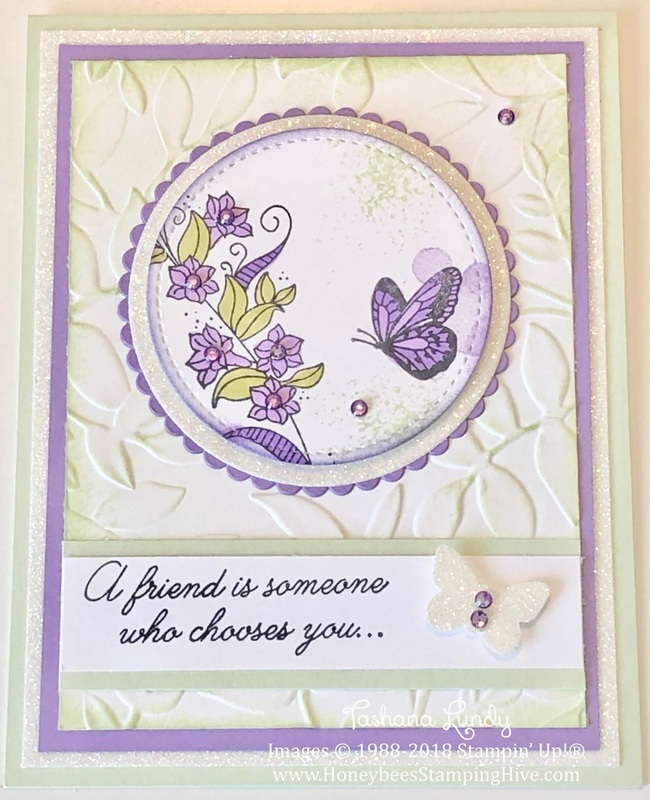 The card I am sharing today features a New stamp set called Beauty Abounds. It will be available for purchase on January 3, 2019, when the Occasions Catalog goes live. I have also used the New Butterfly Duet Punch for the glimmer butterfly. I colored my rhinestones using the Dark Highland Heather Stampin' Blends marker. The inside of the card reads: ...out of a whole world of people. 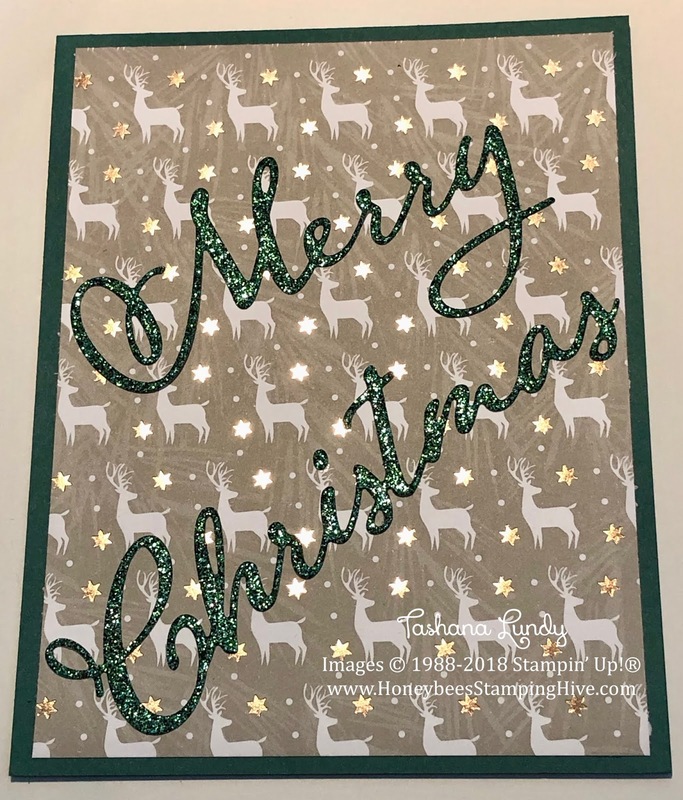 Colors: Soft Sea Foam, Light & Dark Highland Heather, Whisper White, Light Old Olive, Basic Black, and Sparkle Glimmer Paper.